Cheap Cambodia & Vietnam holiday packages with multiple choices of tour duration, activities, group/private services, accommodation. This trip concentrates on the South Vietnam, with a taste of Mekong Delta and city passes thrown in. Ideal for travellers who are either on a short trip, or want to see Vietnam and Cambodia, this small loop can be completed in as little as 4 days. This exciting trip includes all key attractions of Saigon in & around. 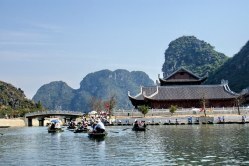 Cruise in Halong Bay and join Hoa Lu – Tam Coc tour with visiting the most featured rural landscape of North Vietnam. A short stroll around Ho Chi Minh President Palace and Hanoi Old quarter by private electric car “Green tourism” transfer. 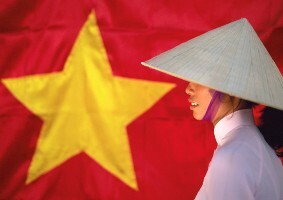 Less people think visiting Vietnam without Hanoi and Saigon. Why not ? We have some daily direct flights from Siem Reap, Taipei, Guangzhou and Incheon, or by Air Asia linking Kuala Lumpur and Da Nang. 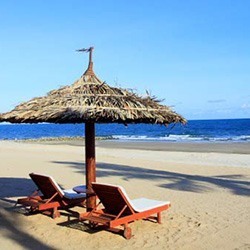 Forget Hanoi and Saigon, if you just spend your short vacation in Vietnam Central Coastline with 3 UNESCO World Cultural Heritages, you can book this tour. When you’re new to Cambodia, this tour helps you orientate yourself towards the normal travel route and popular sightseeings in the country. The tour pushes you from the modern chapter of Phnom Penh to the radiant past of Khmer empire in Angkor temples. 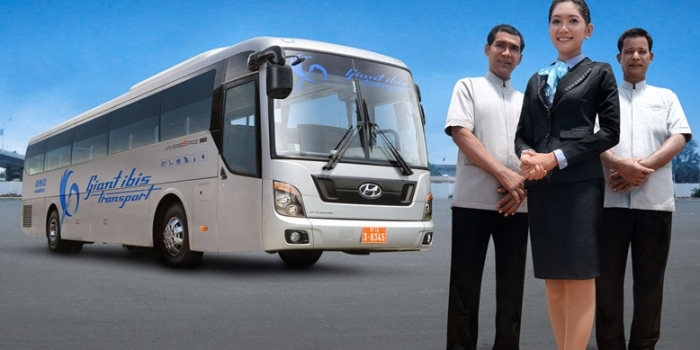 The tour uses local VIP bus along the bone Road No.5 crossing 5 provinces of Cambodia. It’s a good way to save your tour cost instead of flight tickets. 2 option day-tours in Phnom Penh are available. A low-cost tour to Dien Bien Phu the former battlefield during Vietnam – French war 1954 combining with 1 night in Sin Ho plateau “the blooming flower” and 1 night in Sapa charming town. The 1st part of the tour uses local shared bus “Hai Van” with soft-sleepers and air-condition. 1 tour guide supports throughout your tour. The tour is enjoyable and superior enough for small groups. 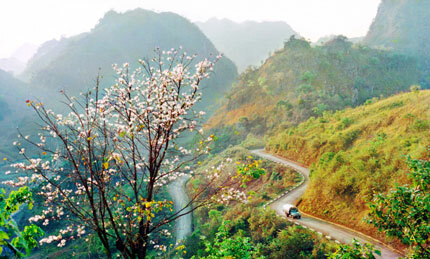 It’s a classic roundtrip Hanoi Halong Sapa tour but 2-way deluxe tourist bus Hanoi – Sapa is the new feature. Your transfer time is shorten at a lower cost than the usual train journey. The cycling route runs along the Vietnam Eastern Sea, a part of Pacific Ocean. The cyclist will experience different terrains as plain, mountains, sandy trails and get by many wild beaches and handicraft villages. The bikes are also printing the wheels on the steps of Vietnam history. They will visit Thang Long Royal Citadel, Hoa Lu ancient capital, Hai Van Ocean Cloud Pass separating North and South Vietnam, My Lai the most famous massacre during Vietnam War. Especially, the main road he’s cycling is Vietnam National Road 1A, which used to be the Mandarin road during feudal times and the only road all Vietnamese people at least 1 time go on. This is a road of history ! 4 UNESCO World Heritages are included: Thang Long Royal Citadel, Hue Imperial city, Hoi An Old town, some Champa towers in Central Vietnam. 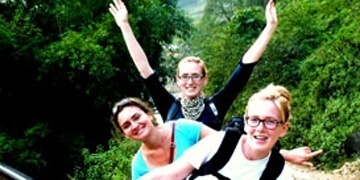 Vietnam eco-tour proposes you many different things a classic adventure itinerary doesn’t have. Experience different aspects of Vietnam culture and daily life and many chances to learn from local people, act as a local and experience in the same way the locals do. Many outdoor activities are inclusive and exclusive. Local homestay, eco-lodge and cozy hotels narrow the gap between a foreigner and this Far East country. 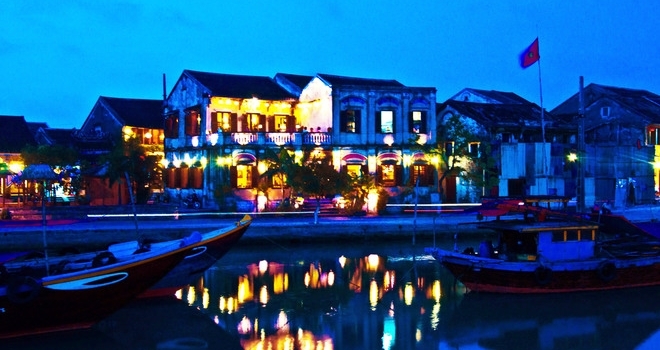 Explore the must-to-see places of Vietnam in a 14-day tour package by visit 3 UNESCO World Heritage of Halong bay, Hue ancient capital and Hoi An Old quarter. Immerse yourselves in river channels in Mekong delta, “the rice bowl” of Vietnam and visiting Cai Rang floating market to get indepth into the locals’ life. Easy extension to Cambodia and Thailand.